Vivaha or Marriage, according to Indian ethos is a Sanskar, a sacrament. The aims of Indian marriage are said to be Dharma, Virtue, Progeny and Pleasure. 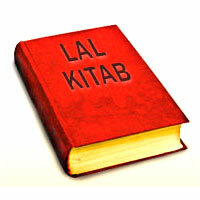 It is both a religious duty and a social obligation towards the family and the community. The most conventional type of an Indian marriage is arranged by parents. Parents have great influence and control over choice of partner. Otherwise, it may be love marriage or the partners themselves based on their likes and dislikes may exercise the choice. Lastly, the choice may be exercised by careful consideration of qualities that one may want from a partner. The light that Astrology can throw upon marriage, the help it can give in forming a union or making the best of an unhappy one is an important reason that Astrology appeals to the average person. Astrology is concerned with fundamental facts and principles, and deals with the laws of nature rather than the customs and habits of different races and religions. The legality or otherwise of a union is a matter of secondary importance from the point of view of the horoscope. It should always be borne in mind that, for astrological purposes the word “marriage” is to be taken in it’s widest sense as covering all unions irrespective of their legal standing. Jyotish is NOT concerned with man made laws which differ in different ages, races and religions. The Indian Method of Comparisons : A considerable portion of Jyotish is based upon the Moon and the Nakshatras which constitute a zodiac of 27 signs, each division consisting of 13°20'. The following list contains the number and name of each Nakshatras. 01. Aswini	15. 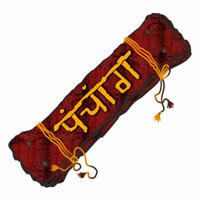 Swati 02. Bharni	16. Vishakha 03. Krittika	17. Anuradha 04. Rohini	18. Jyestha 05. Mrigsira	19. Moola 06. Ardra	20. Purva Ashadha 07. Punarvasu	21. Uttara Ashadha 08. Pushya	22. Sravana 09. Aslesha	23. Dhanistha 10. Magha	24. Satabhisha 11. Purva Phal. 25. Purva Bhadrapada 12. Uttra Phal. 26. U. Bhadrapada 13. Hasta	27. Revati 14. 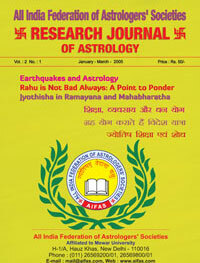 Chitra In Astrology, there are eight primary considerations for the comparisons of horoscopes, which are known as: 01. Varna	05. Graha Mitra 02. Vasya	06. Gana 03. Tara	07. Bhakoot 04. Yoni	08. Nadi The rules are summarized below for each type of comparison as: Varna: This is based upon caste. The signs Cancer, Scorpio and Pisces represent the learned or Brahmin caste. Leo, Libra and Sagittarius the Kshatriya caste; Aries, Gemini and Aquarius the Vaisya caste; Taurus, Virgo and Capricorn the Shudra caste. The rule is that the husband’s Moon must be in a sign of equal or higher caste than the wife’s Moon. If the wife’s Moon is of higher caste than the husband’s, she cannot adjust soon with the family. Vasya: The Moon in the horoscopes of the man and woman should be in harmonizing signs in accordance with the following list : Aries	Harmonizes	Leo and Scorpio with Taurus	“	Cancer and Libra Gemini	“	Virgo Cancer	“	Scorpio and Sagittarius Leo	“	Libra Virgo	“	Gemini and Pisces Libra	“	Virgo and Capricorn Scorpio	“	Cancer Sagittarius	“	Pisces Capricorn	“	Aries and Aquarius Aquarius	“	Aries Pisces	“	Capricorn If the Moon of man and woman are in harmony, there will be agreement and happiness, otherwise quarrels may arise. Tara: Take the number of the Nakshatra containing the woman’s Moon and count from it to nakshatra of the man’s Moon, include both Nakshatras in the count. Divide the total by 9. If the remainder is either 3, 5 or 7, marriage between the couple is not favorable, otherwise with any other remainder it will be successful Yoni: This is concerned with sexual adaptability, and is expressed in the terms of the animal kingdom as represented by the Nakshatras. When the man’s Moon is in Nakshatra of a male animal, and the woman’s in a female yoni, the marriage will produce happiness and success, provided the animals concerned are not inimical (enemy) to each other. When both Moons are in the Nakshatra of female animals, the union will be of average success. Finally, when both yonis are in the Nakshatra of male animals the result will be financial loss and unhappiness. For example the man’s Moon in Nakshatra No. 16, and the woman’s in Nakshatra No. 12 would lead to an unhappy marriage, as it would be the union of a tiger and a cow. 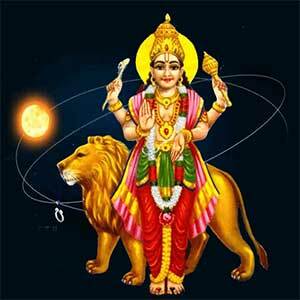 Graha Mitra: This is concerned with the natural friendship and enmity existing among the various planets. Sun friendly Jupiter with	Moon “	Mercury/Jupiter Mercury “	Moon/Venus/Mars/Jupiter Venus “	Mercury/Mar/Jupiter/Saturn Mars “	Mercury/Venus Jupiter “	Sun/Moon/Mercury/Venus/Saturn Saturn	“	Mercury/Venus/Jupiter For a happy and successful marriage the rulers of the signs having Moons of man and woman must be friendly planets. Gana: The Nakshatras are divided into three groups in accordance with their nature, namely: Deva : Nak Nos.1, 5, 7, 8, 13, 15, 17, 22 and 27. Manushya: Nos.2, 4, 6, 11, 12, 20, 21, 25 and 26. Rakshas: Nos. 3, 9, 10, 14, 16, 18, 19, 23 and 24. Two people whose Moons fall in the same group may successfully marry. If one of the couple belongs to the Deva group and the other to the Manushya the marriage will be of average success. In no circumstances should a person of the Deva or Manushya group marry a member of the Rakshas group. Bhakoot: This refers to the relation between the signs in which the man’s and woman’s Moon are situated. If the man’s Moon is in, the second sign from the woman’s, or hers is in the 12th from his, early death will result from the marriage. If the positions are reversed and the woman’s Moon is in the second sign from the man’s, or his is in the 12th from hers, the result will be length of life for both. If the man’s Moon is in the 3rd sign from the woman’s, there will be misery and sorrow. The reverse position indicates happiness. The man’s Moon in the 4th sign indicates great poverty, and the reverse shows great wealth. In the 5th sign, unhappiness, but if reversed, happiness. In the 6th sign, loss of children, but if reversed the children will prosper. Finally, when both Moons are in the 7th sign from each other there will be health, prosperity and happiness. In all cases, the counting is inclusive of both signs. If the man’s Moon is in Virgo, and the woman’s in Scorpio, her Moon is in the 3rd sign from his, and a happy and prosperous marriage is indicated. Nadi: This is based upon the temperaments of the Asterisms, as follows: Aadi	Madhya	Antya 01	02	03 06	05	04 07	08	09 12	11	10 13	14	15 18	17	16 19	20	21 24	23	22 25	26	27 If both Moons fall in the Aadi, or both in the Antya group the marriage is an indifferent one. If both fall in the Madhya group there will be great misery and disagreement. If the Moons fall in different groups the marriage will be productive and joyous Having obtained the testimonies of all these eight methods of comparisons, Astrologers next task is to determine the final result. This is done numerically. To each class is allocated a number of points which is the same as the numerical order in which they have been dealt with above, Varna receiving 1 point, Vasya 2 points, and so on down to Nadi with 8 points, thus making a total of 36 points altogether. The points of agreement between the horoscopes are then added together. If the total of points is found to be less than 18 the marriage should NOT take place as it would result in danger, disagreement, or early death of the partners. If points obtained are between 18 and 27 the marriage will be one of success, while if the points produce a total higher than 27, the marriage will be one of great happiness, prosperity, blessed with children, long life, and wealth.